Price action trading can be scary. The mere idea of relying only on price action can be daunting and terrifying. But you know it can be done, you’ve seen it done well, but you’ve also seen a lot of people try and fail. Why is trading with price action so tricky? It’s not because of its technical difficulty. In fact, beginners can pick up the necessary price action concepts and tools in a matter of weeks. It’s that for most beginners, they embark on this learning journey haphazardly. While there’s no lack of educational materials, it’s hard to map out an organized learning plan. With the exotic candlestick patterns? Or with the famous Head & Shoulders? With the many options you face, your perspective gets muddled quickly. Price action trading can be broken into eight easy-to-manage steps. This is what I’ve done here for you. Below, I’ve highlighted the key ideas for each step together with handpicked resources. … the movement of a security’s price. 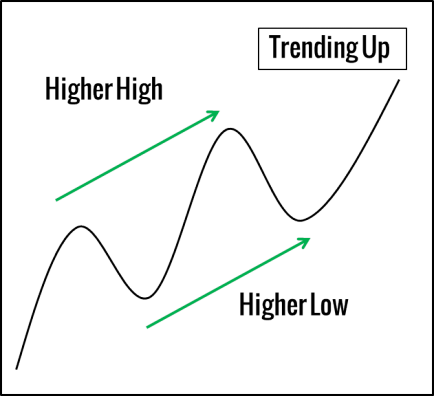 Price action is encompassed in technical and chart pattern analysis, which attempt to find order in the sometimes seemingly random movement of price. But you need to get beyond a technical definition of price action trading. You need to get a realistic grasp of what price action trading really means. If you think that price action is a magical solution to your trading woes, you will be disappointed. But if you see price action as a way to understand the market and to focus your analysis, you will gain much more out of it. Also, price action trading is not a dogmatic approach that forbids trading indicators. It is a change of perspective that helps you ground your analysis with price movements. Instead of saying no to indicators, interpret them with the guidance of price action. Introductions to price action often focus on the technical aspects. Or they present an overly rosy picture for its learners. Demand and supply explain price changes. This basic tenet applies to all markets. When demand overwhelms supply, it causes the market price to increase. When supply is more forthcoming than demand, the market price falls. The turning points where demand overwhelms supply and vice versa are critical. The primary goal of a price action trader is to find these turning points. 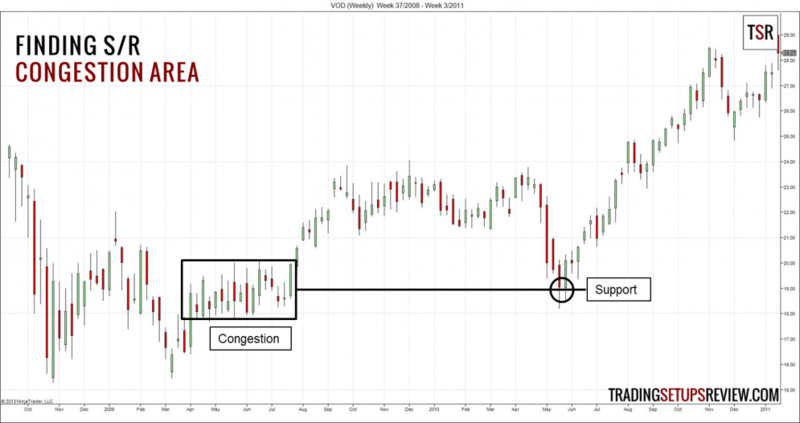 Demand and supply forces manifest themselves as support and resistance in the market. Hence, it’s crucial to comprehend the concept of support and resistance fully. Support and resistance is a core concept in price action trading. Support levels are price levels where the demand overcomes supply. At these levels, the market is likely to turn up. 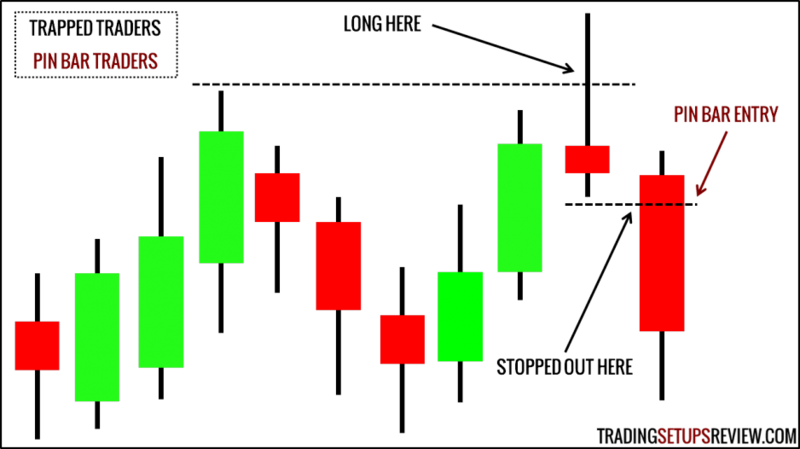 Resistance levels are price zones where supply exceeds demand. At these price levels, the market is likely to reverse down. 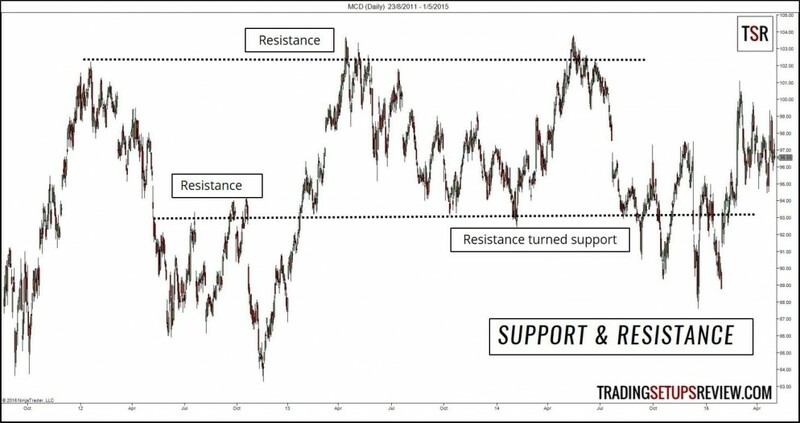 Here are a few chart examples of support and resistance. Ultimately, every price action tactic takes advantage of support and resistance (demand and supply). Hence, it’s essential that you internalize this concept as early as possible. It will help you see the links between the trading techniques you learn later. This step is often skipped by overly eager traders who just want to take trades as quickly as possible. You should not think about entering the market without understanding the larger picture. What is the market trend now? What is the market bias relevant to your time frame? What is your macro view of the market? You need to answer these questions before you can take your first trade. Luckily, price action has ready tools to help you with analyzing the market trend. Don’t get confused by the myriad of trading methods. To make sense of the market, focus on two essential trading tools: price swings and trend lines. The market never moves in a straight line. It always proceeds in a zigzag fashion, forming what we call price swings. Observe the magnitude, momentum, and direction of these price swings. They will highlight the market structure which will set the stage for any setups you take. By connecting swing pivots and extending the line to the right, you get trend lines. 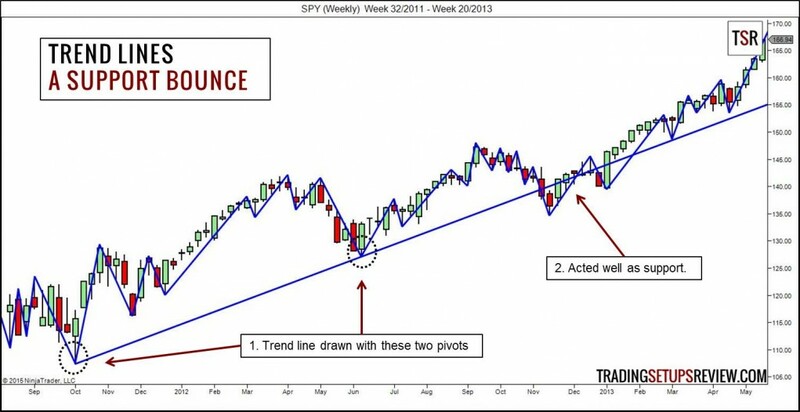 Trend lines are excellent tools for tracking the market trend. Draw trend lines and observe how price action interacts with them. This is excellent practice for all traders. To learn how to draw a proper trend line, I recommend Victor Sperandeo’s book. At this stage, you should be able to look at a chart and state if it’s trending upwards, downwards, or going nowhere. Now, you are ready to move on to micro price analysis. 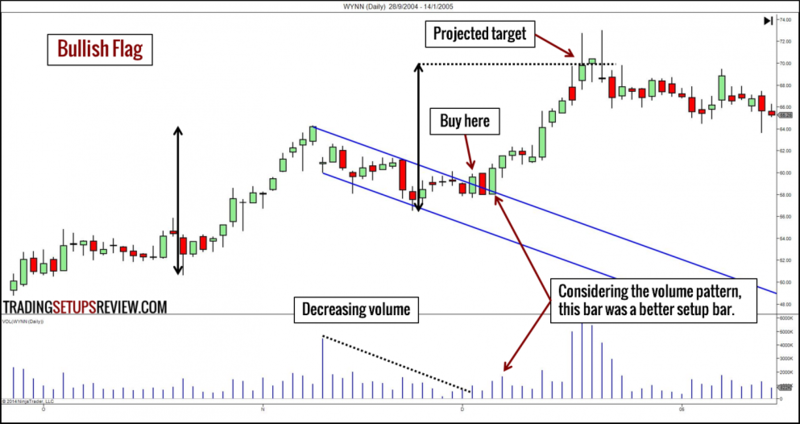 This step focuses on bar-by-bar analysis and chart pattern analysis. The Pin Bar shown in the image above is one of the most popular price patterns. You might be looking forward to learning candlesticks, bar patterns, and chart patterns. 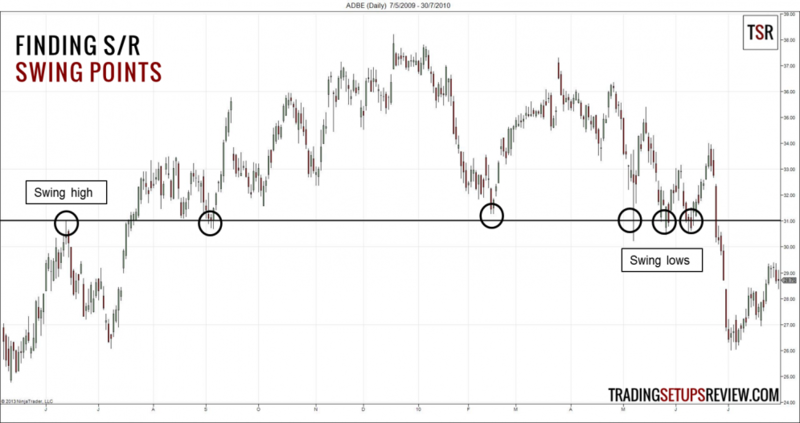 This article will show you a basic template to perform close price analysis. It emphasizes the principles of price analysis. These guidelines will help you keep perspective as you learn more price patterns. Finally, these are the resources for learning the standard price patterns. For these patterns to work, you must find the right context. Hence, you should not think of them as profit-making patterns. Think of them as ways to observe, analyze, and describe the market. Risk management requires that you know when to get out when the market moves against you. Otherwise, there’s no way to limit your losses. Luckily, price action is not just useful for getting into the market. You can also use it to decide when to get out. But first, ensure that you have the correct understanding of a stop-loss. A stop-loss will only protect you if you place it logically. Read this article – The Logical Trader’s Guide To Placing Stop-Losses. The key takeaway from this article is that you should not place your stop-losses based on your emotions or how much you can lose. A logical stop-loss depends on the price action context and volatility. Exit when the market goes against you. Exit when the market moves in your favor. Taking profit is as essential as placing stop-losses. After all, you only have paper profits until you exit from your winning trades. In line with what you’ve learned so far, let price action guide your profit-taking decisions. 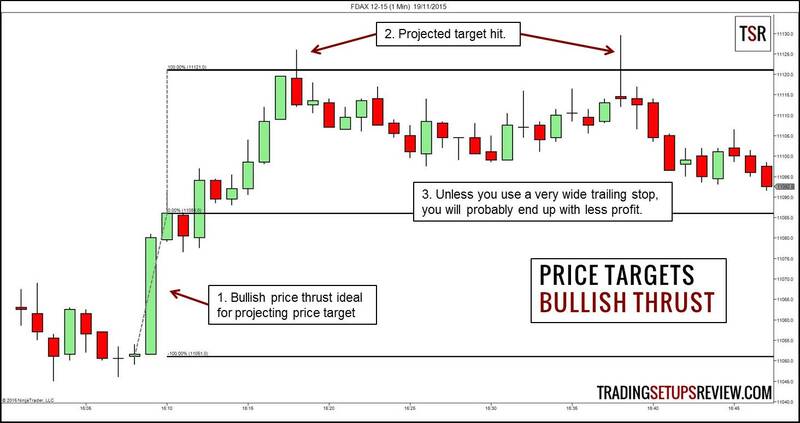 One of my favorite methods is to project a target based on a price thrust, as shown in the image below. Using chart patterns to project targets is also a standard tactic. Expectancy is a concept that helps you combine what you’ve learned into a viable strategy. The reward-to-risk ratio is the result of your entry, stop-loss, and profit-taking decisions. The winning probability is what you infer from your trading experience and research. Ultimately, you want to employ trading tactics to achieve positive expectancy. There are three key lessons you should learn from the concept of trade expectancy. #1: A good trade is not a winning trade. A good trade is one with a positive expectancy. How To Determine if A Trade Is Good Or Bad? #2: The winning probability of each trade is not isolated from its reward-to-risk ratio. Beginners often think that they can aim for a higher reward-to-risk ratio to ensure positive expectancy. But they fail to recognize that by aiming for a higher reward-to-risk ratio, they might have lowered their winning probability. You will appreciate this point more when you start to refine your trading performance. #3: Use the concept of expectancy to guide all your trading decisions. Does it improve the expectancy of your trade? If so, do it. Does this trade offer positive expectancy? If so, take it. Why Does Trader Expectancy Matter? Price action trading is mostly discretionary, and practice is essential. You should put the price action tools you learned into constant practice. The aim of your practice is two-fold. The first is to hone your price action trading skills. The second goal is to practice control over your emotions and cognitive biases. When starting out, do not rush to look for actual trading setups. Start by analyzing and recording your observations. Arrive at your own conclusions how the market behaves. At this point, you should focus on a single market. Not sure what to look out for? Here are some examples of detailed chart analysis. Once you’re comfortable with reading price action, you can start to virtual trade. Eventually, consider trading with a small live account. This approach will give you a more realistic learning experience. It comes with the emotions of losing and earning money. Dealing with your emotions and biases is an aspect that requires years of deliberate practice. These resources will help you out. This organized plan to learn price action trading proceeds step-by-step, complete with useful resources. Start today, and refer to the references below for more help! 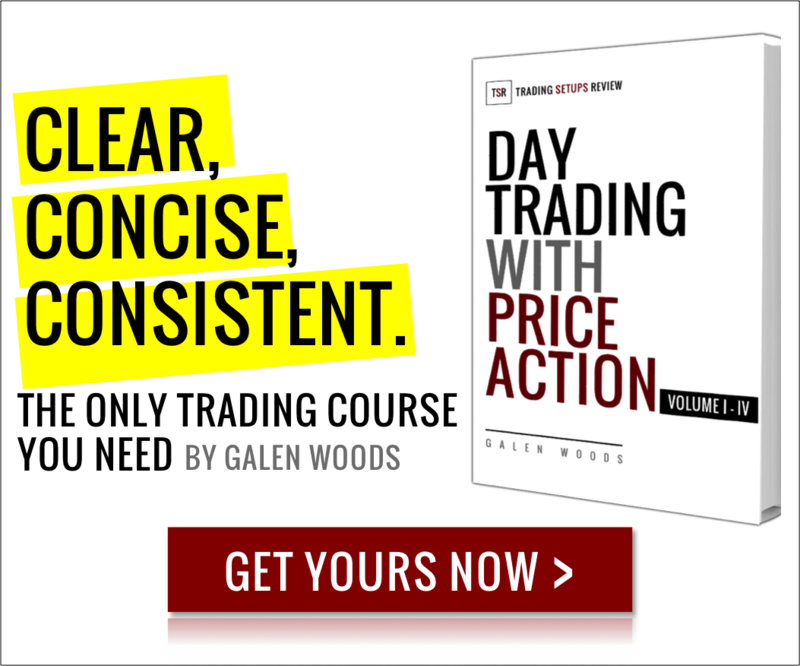 How To Trade With Price Action – Dozens of price action trading resources. Top 10 Price Action Trading Books – Books that offer excellent price action trading insights. Day Trading With Price Action Course – A completed education to price action trading organized according to the steps listed above. Packs more than 250+ charts with detailed explanation on how to analyze price action.